I'm back with another Face of the Day! 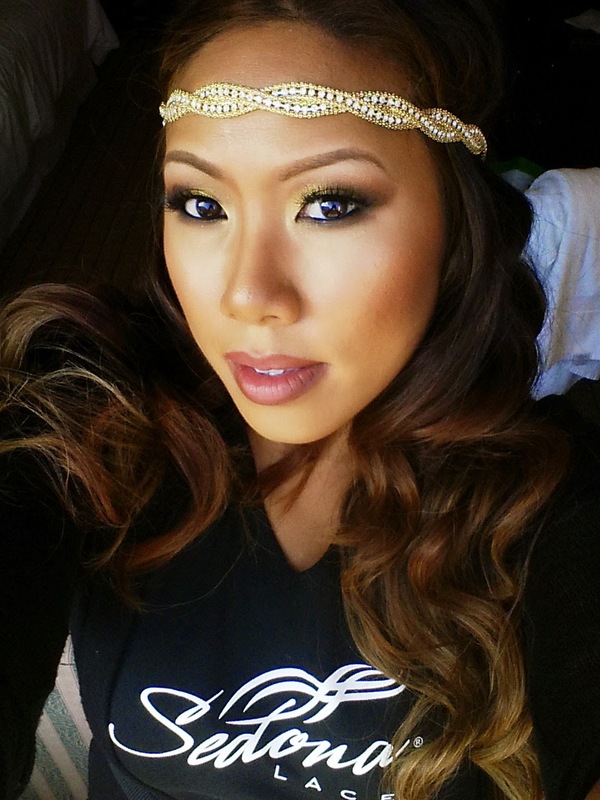 I rocked this gold smokey eye to the last day of PhamExpo in LA. Check it out! The look centered around Sugarpill Goldilux Pigment. 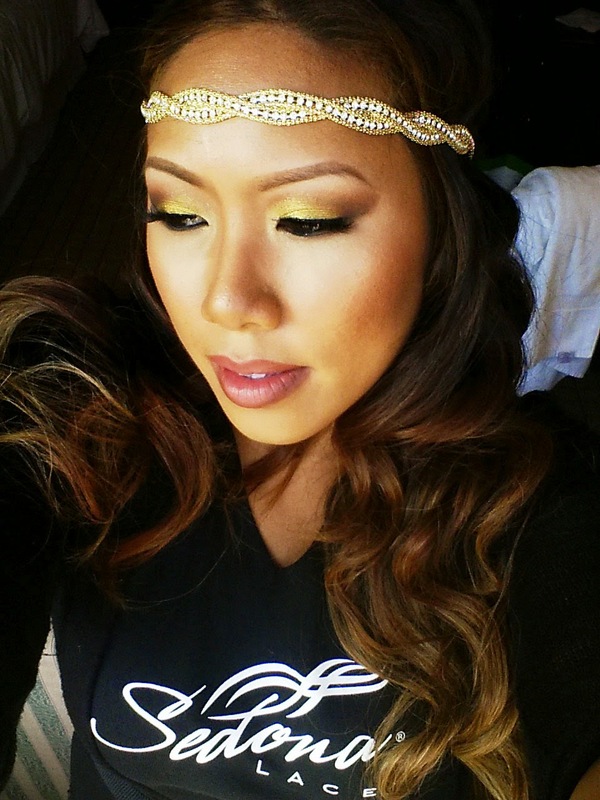 I love pulling out this pigment when I want a glam look, and it also perfectly accessoried my gold headband. I paired it with some glam lashes and neutral browns to smoke it out. The face is all Graftobian Glamour Cream Foundations with Nars Taj Majal Blush. 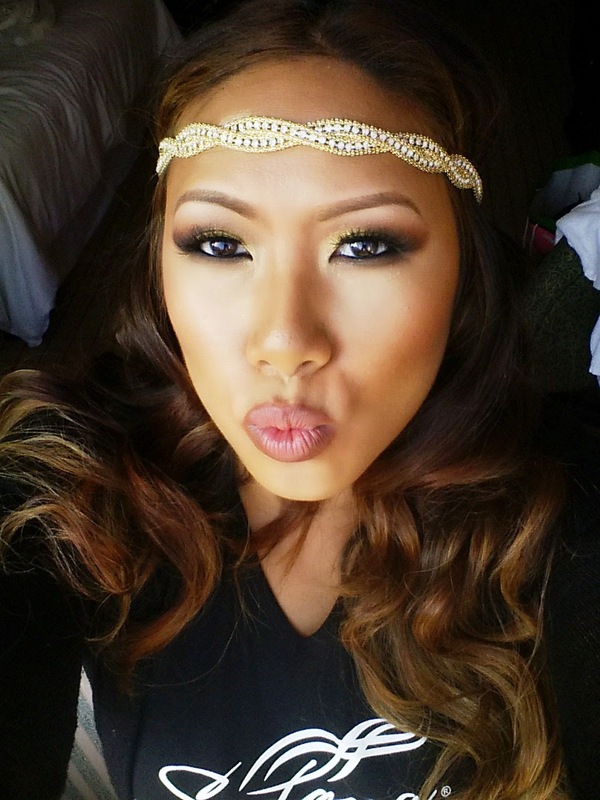 On my lips I wore my go-to combo - Alcone at Home Enduring Lip Color in Creme Brulee with NYX Nutmeg Lip Pencil. Hope you all enjoyed! Till next time Ciao Bellas!